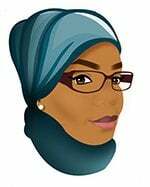 In the month of Ramadan I get more creative (like most women) especially while I’m fasting, and believe me when you fast and you are a foodie, the number of ideas you get for snacks and desserts is astonishing. 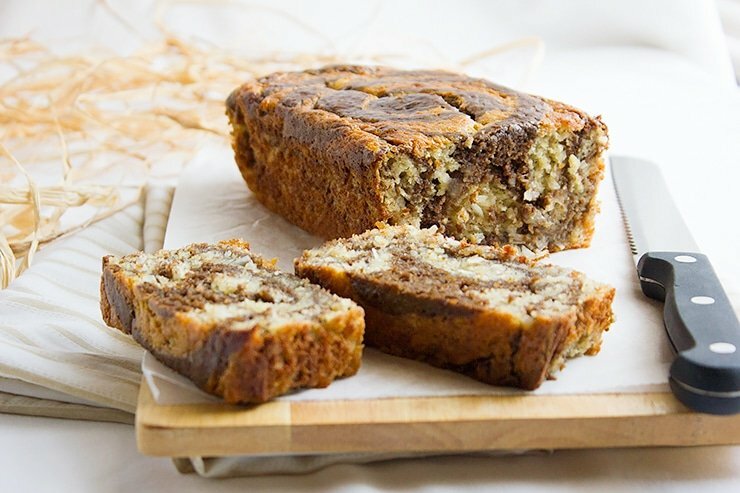 Banana Zebra Bread is a combination of two goodies, banana bread, and chocolate cake. After Iftaar, the best drink is black coffee with dessert on the side (at least for me). 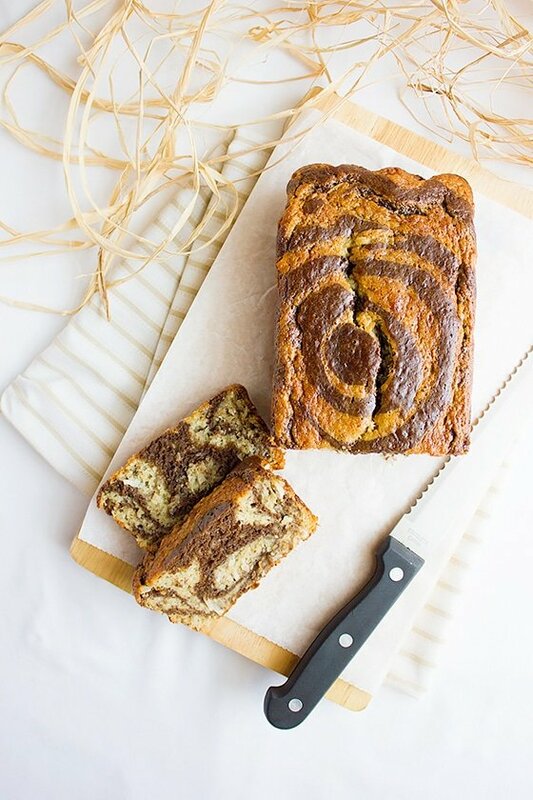 This Banana Zebra Bread loaf is everything you ever wanted in a banana bread, it’s moist, delicious, smells amazing, and a great companion to that big mug filled with coffee. I wonder how it will taste if I made it a banana chocolate loaf cake, I’m sure it will taste out of this world, I guess I have to work on that project soon but for now, I am very pleased with what I just baked. 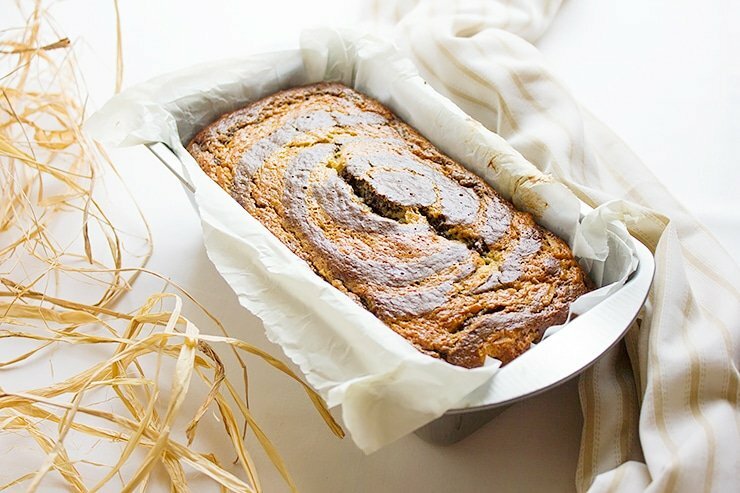 If you are a fan of classic Banana Bread, I have a recipe for you in this link, it is low in calorie and originally created by Nigella Lawson, I just made lighter and it can easily please a crowd. Note: I added 1/4 cup shredded coconut in the banana bread batter (which you can see in the pictures.) some were not fond of the texture, so if you love coconut go ahead and add it. 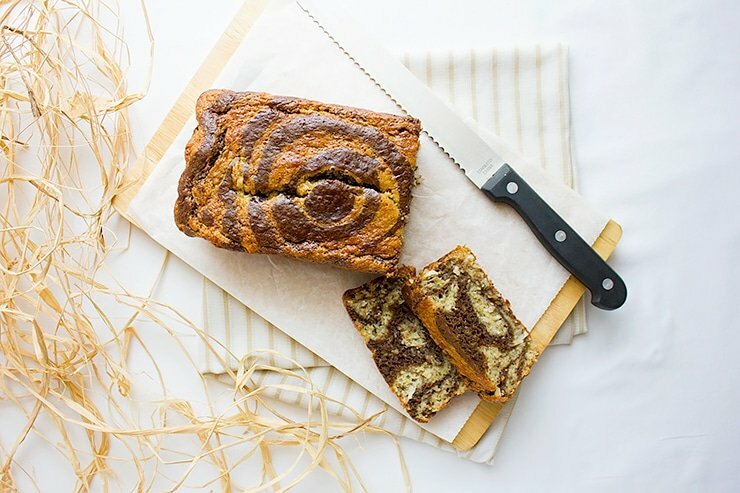 In a bowl, whisk together flour, salt, baking powder, and baking soda. Keep aside. 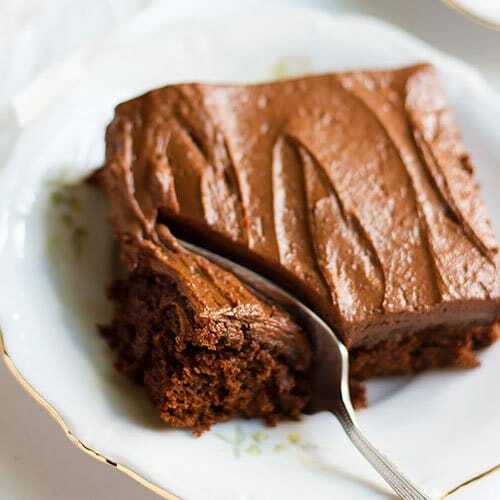 In a different bowl add the rest of ingredients (except cocoa powder) and whisk until well combined. Add the flour and mix gently. Transfer ¾ of the batter to another bowl and sift in the cocoa powder. Whisk until well combined but do not overmix. 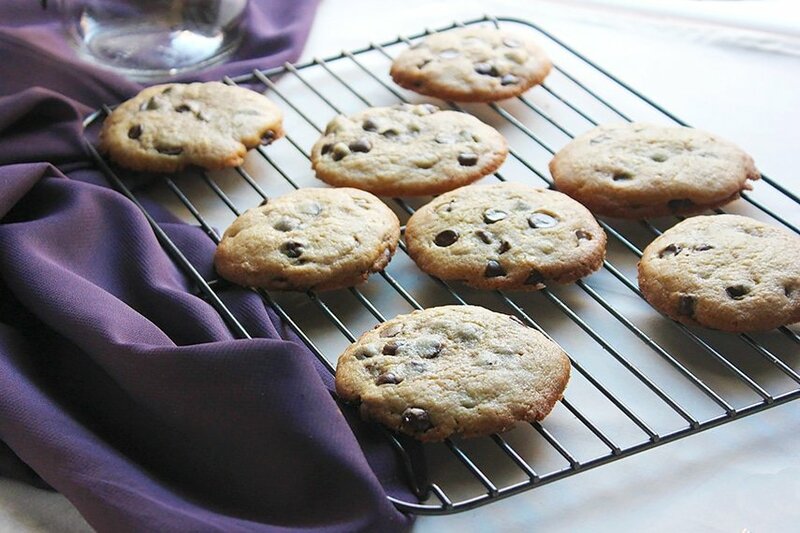 Take ¼ cup from the plain batter and pour in the middle of the previously prepared pan. Pour ¼ cup from the cocoa batter in the center of the plain batter that’s in the pan. Pour ¼ cup from the plain batter in the center of the cocoa batter you’ve just poured in the pan, keep repeating this step alternating between batters. Place the pan on the middle rack and bake for 50 minutes or until a toothpick inserted in the middle comes out clean. 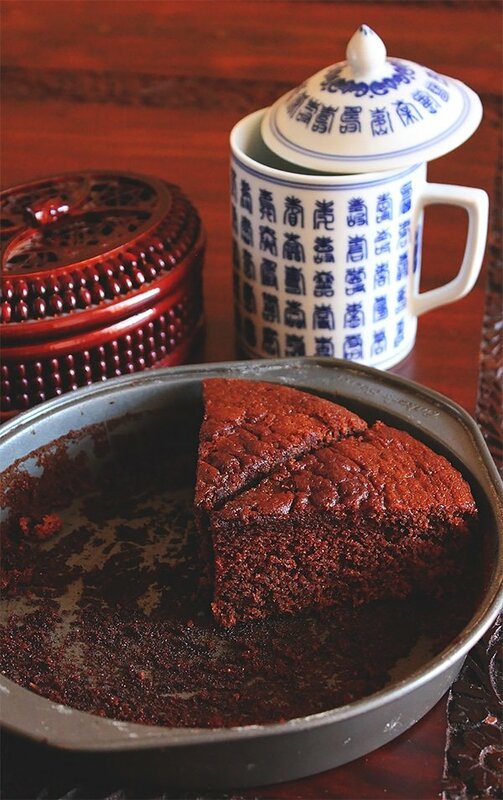 Keep the cake in the pan for 5 minutes, then transfer to a cooling rack. That looks awesome! I love the beautifully zebra pattern. It looks amazing! I love the zebra effect. 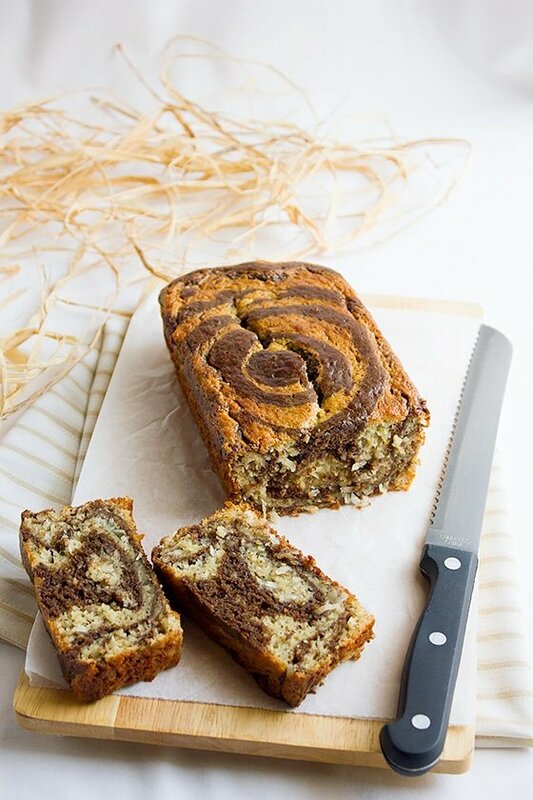 And yes, chocolate and banana are a match made in heaven! This is great! I love the zebra pattern! Nice idea! 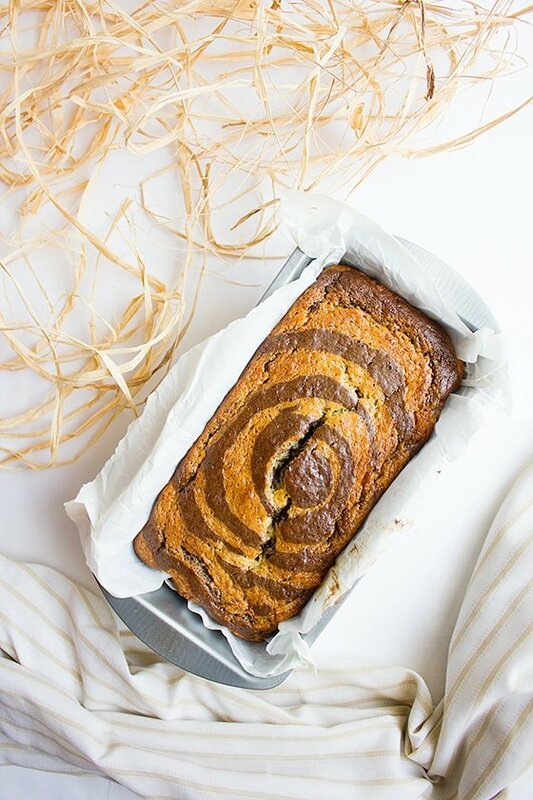 Lovely banana zebra bread loaf. It’s everything!